It’s no secret that I am a bit of a Victorian/historical fashion nerd, previous eras of attire have influenced my designs for Gloomth and the brand’s concept since we began. While recently looking through historical archives I thought I’d share some images from the 1890s of fashion as it was in Canada at the time. For this already very image heavy post I’m going to focus on womens’ fashion primarily so it doesn’t become too lengthy, maybe I will create a couple more of these deep dives into old photos about daily life at the time and mens/childrens fashions. 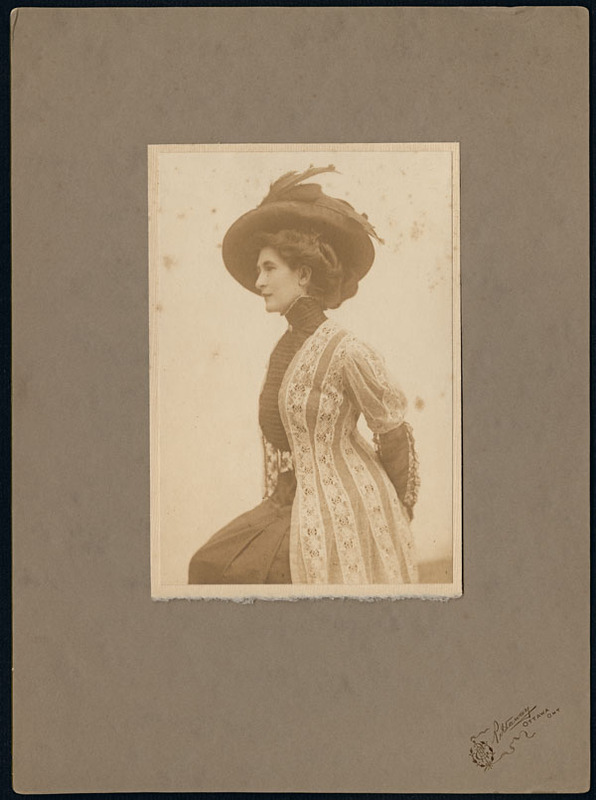 An array of hats and ascots, this image is of a variety of proofs from a professional photographer’s studio. I just loved the composition and story contained in this page alone. Canada had just completed the British North America act in 1867 so by the 1890s was still a forming nation (according to history books which largely ignore the cities and efforts of the indigenous population that was here centuries prior to European “settlers”). A railway crossing the country was just completed linking the east with the west and allowing the flood of immigrants to settle all across the nation, forming new towns and eventually cities. The photo below is of a girl named Maude from 1891, she’s swathed in what appears to be lengths of fabric for an artistic photograph rather than wearing actual clothing from the era. It’s just such a haunting image I had to include it. Gorgeous mutton sleeves in velvet and coiled wool below! Absolutely dying over the hats as always. The texture and detail in all of these outfits is incredible. Western fashion for women in the 1890s abandoned much of the crinolines and bustles of previous styles, though heavy corsetting continued. The skirts fell in loose a-lines which allowed women to ride drop frame bicycles and be more mobile/active, while blouses/tops remained tight with large gigot or mutton style sleeves. A very dapper young man in a wool suit and vest to break up the many ladies featured in this post! He is holding his leather gloves and what appears to be a cricket or baseball bat? The buttons on the mother’s jacket below are fascinating, it would take quite a while to button-hook yourself into such a top. 1892, titled “Mrs and Miss Halkett” and nothing else. The photo below was titled “Mrs. Papineau” and was taken in 1898, unsure if she is related to the Canadian historical figure Mr.Papineau or whether this is for stage. It certainly looks like perhaps a costume since she has on a non-period wig etc. More astonishing sleeves and elaborate necklines below. The photos of the two young women below seem so alive and magical, I love looking at historical photos and imagining the lives these strangers lived. Also that pleated light velvet dress is dreamy. Below is a photo of Sir John A. Macdonald’s daughter Mary, confined to a wheelchair. He was the first Prime Minister of Canada (sort of a complicated character, to put it nicely) and his daughter was born with hydrocephalus and was never able to walk. 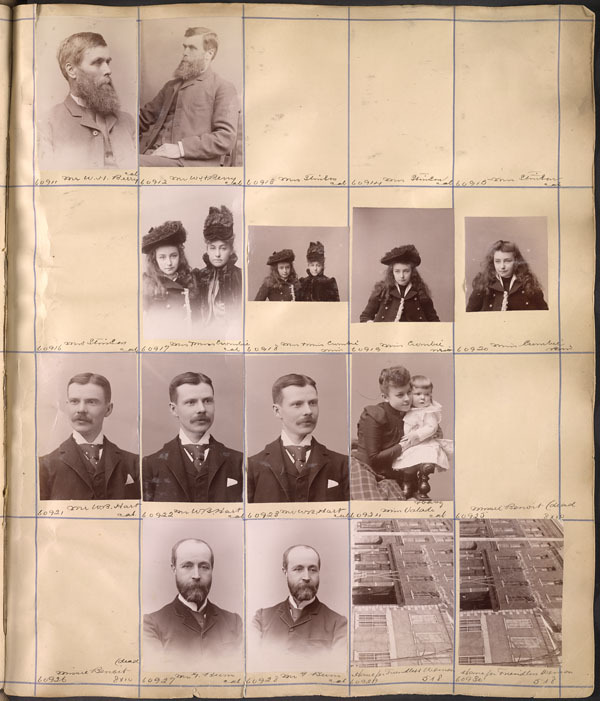 There aren’t many photos of disabled individuals existing in historical archives or even in family albums. Mary was an early adopter of new typewriter technology and passed away in 1933. I hope you were inspired by these beautiful old photographs! If you like this style of post please let me know in a comment and I’ll try and do more like this. ← New “Joan of Arc” Photoshoot!